We spent a week during the Easter holiday in Woolacombe and we had such a wonderful time, especially as the weather was on our side and the days were filled with sunshine. After travelling to our accommodation on the Monday, popping to the supermarket for a few essentials and enjoying our first BBQ of the year on the patio, we planned our days out for the rest of our visit. I still really like to be organised even when we are away from home so I know what we are up to and when and I can prepare appropriately. Being spring there are lots of lambs being born and we didn't want to miss the opportunity of seeing and even feeding a few, therefore we decided to spend Tuesday at The Big Sheep in Bideford followed by the beach at Saunton Sands. It was just a 30 minute drive away from where we were staying so it wasn't too long in the car and the scenery in the area is so beautiful it felt like just minutes until we were parked up and heading through the reception area. 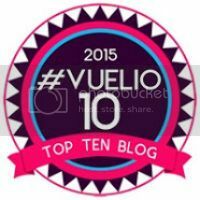 Firstly we went on The Big One, a brand new roller coaster which opened last summer and is great for little ones and adults alike. The Mini Mes really loved this as although it's not a white knuckle ride as such there are a few twists and dips to keep them excited! It's 400m long and reaches heights of up to 13m so there are plenty of squeals of delight while on board for the two laps. The gents running the ride were really amusing too and there was a lovely family feel about the entire attraction from start to finish. Just beside this ride there was Swan Lake along with Twister where you can spin in individual swings while parents watch from the side or be seated in a giant bird and pedal in pairs around in the water. The rides work in a rotation system and are open at certain times throughout the day to keep queues to a minimum which I think is such a good idea. 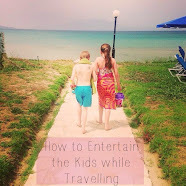 We managed to time this perfectly to get on everything we wanted to straight away so we could spend the rest of our time at the planned events and smaller activities. 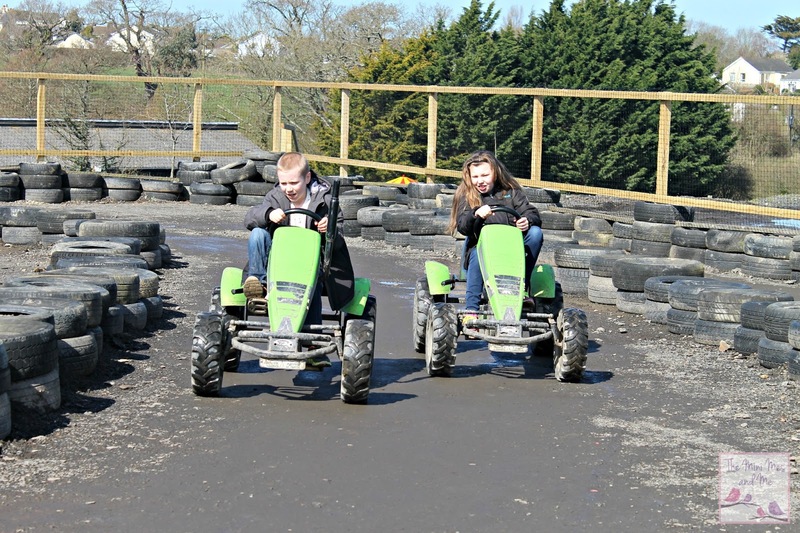 Our little duo love to be active so next we headed over to the go karts and trampolines for some racing and jumping fun. 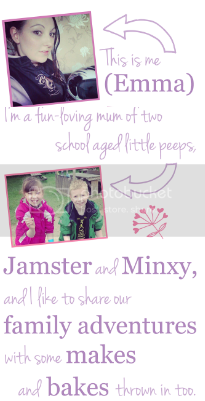 Jamster enjoyed doing a variety of flips and stunts on his which built him quite a little audience of children whereas Minxy was able to show me what she has learnt in her trampoline lessons at school recently, which was lovely to see. There are only two go karts on the track but this area of the farm was nice and quiet so the Mini Mes stayed on for a while before moving aside to let a pair of toddlers take over. Nearby are the Jumping Pillows, a Piggy Ride which is a tractor pull along that is ideal for preschoolers, a Pony Carousel and Splash Zone to enjoy. You can fill up water balloons and launch them at others for a fun yet wet experience - ideal for the fast approaching summer holiday in particular! The events arena started to fill up just after lunch so we headed there to be the first to see the newborn lambs with an opportunity to feed them too. Adults and kids enjoyed this greatly and the 400 seats along with the stage were soon overflowing. Staff tried to ensure that bottles were passed after 5 seconds so everyone got a turn to feed the adorable woolly animals which was lovely to witness before we moved next door to the Nursery Barn. This was our favourite part of The Big Sheep. It was such a lovely experience getting so close to lambs with their mother's, feeding goats and fussing Border Collie pups - just like our own dog, Spartan. We spent most of our time in this zone as it was mesmerising for the Mini Mes who were able to feed the animals too. It's a really interactive day out for everyone. Finally we went to Bo Peeps Cafe and play area but unfortunately due to a lack of seating we didn't get to play here, although the equipment looked clean and fun. I imagine it's a lot more peaceful during term time and hopefully when in Devon again we will get the chance to stop by to have a go on the slides and frames. On the way out we also took a stroll around the extensive shop which had some great value items for the entire family from stationery and cups to wool rugs and we also took a peek in the brewery. 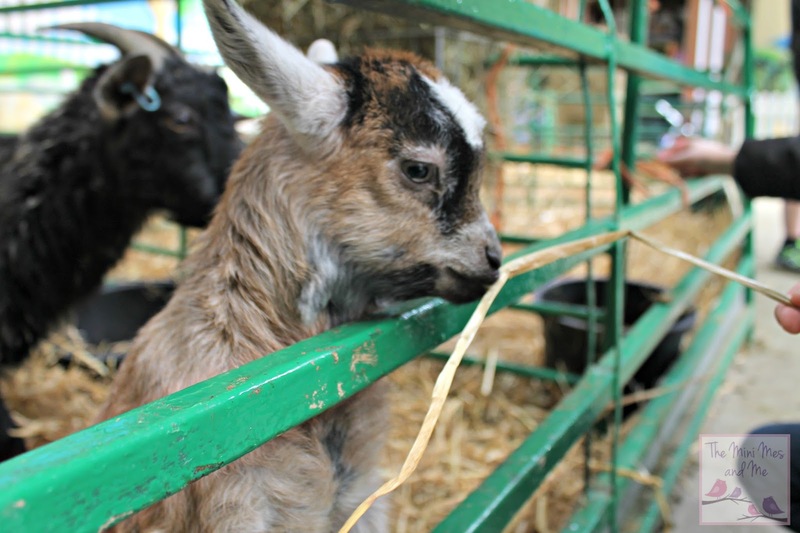 We had a great time at The Big Sheep and as the entry fee covers everything bar pony rides and a few motorised ride ons it's an inexpensive day out. Emergency services and the military can receive 50% off entry whereas those that book online can receive 25% off, which makes a family pass for 4 just £37.35 so there are great discounts to be had. To end the day we went to Saunton Sands. 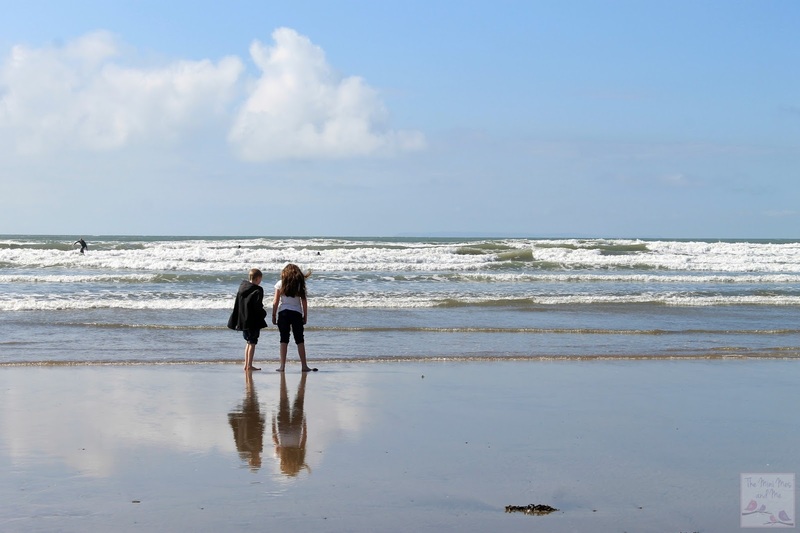 The 3 miles of beach, situated near the villages of Braunton and Croyde, is ideal for surfing. In fact, the Mr has been there many times over the years for that very reason. There is a takeaway and a shop on site too so you can get your mitts on a hot drink or an ice cream if you want to take a few minutes away from the waves. We spent several hours here as the Mini Mes ran in and out of the sea, doodled in the sand and watched the kayaks on the water before heading back to our apartment for a homemade curry. You can read about the rest of our holiday here. Looks lovely but a bit too far for us! Lovely review and lovely pics! It's such a fabulous part of the country. Seems the family had lots of fun. 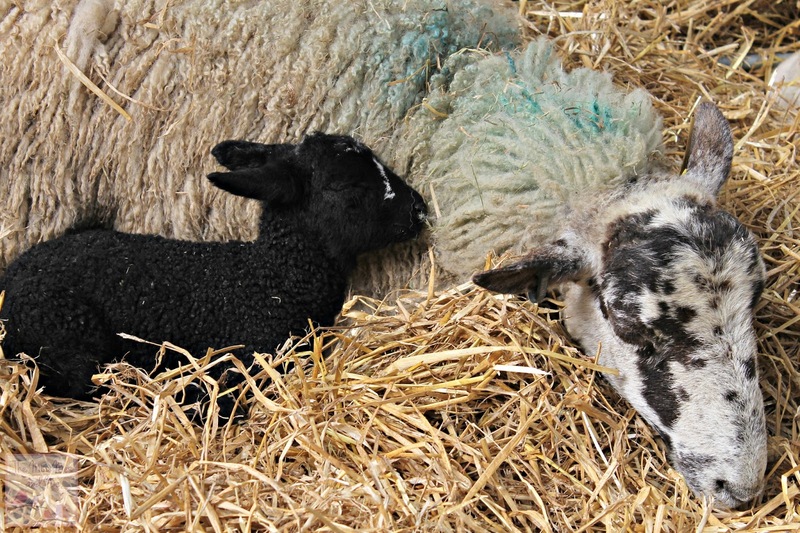 I love the picture of the beautiful black lamb - the black sheep of the family already! 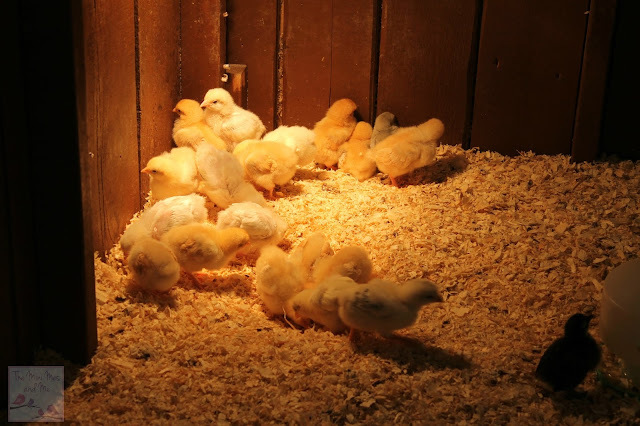 Ahhh those baby chicks and lambs! You can't beat a holiday in Devon can you? Seaton and Beer are our favourites. Great pics, looks like you had a fab time. Such lovely pics and post that I Googled to see how far it is to travel from where I live! I love Devon. We have so many fond memories of family holidays there. lovely photos, that goat is too cute! 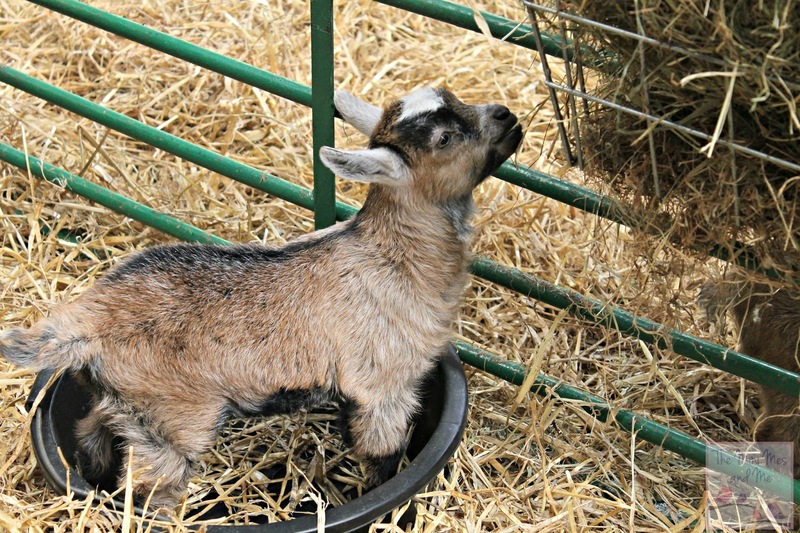 Looks like a fantastic day out and the goats are so cute! Awwwww so so cute! It looks like you all had a fantastic day out, I just love baby lambs :) The tiny chicks are adorable. Looks like a very fun day out, love the pictures. It makes me wish I had some younger children! 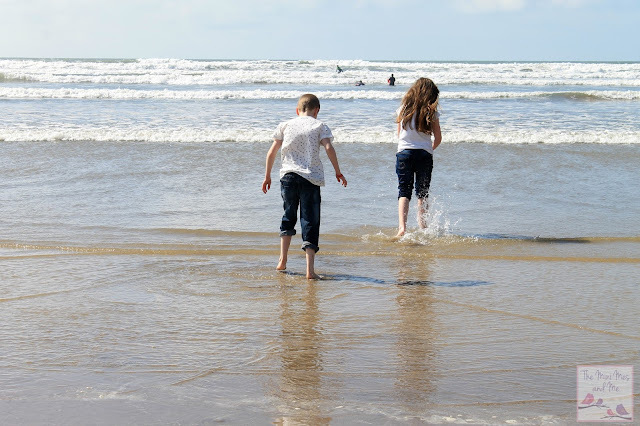 Had a holiday at Woolacombe years ago, pity it's so far for us. Looks so much fun. 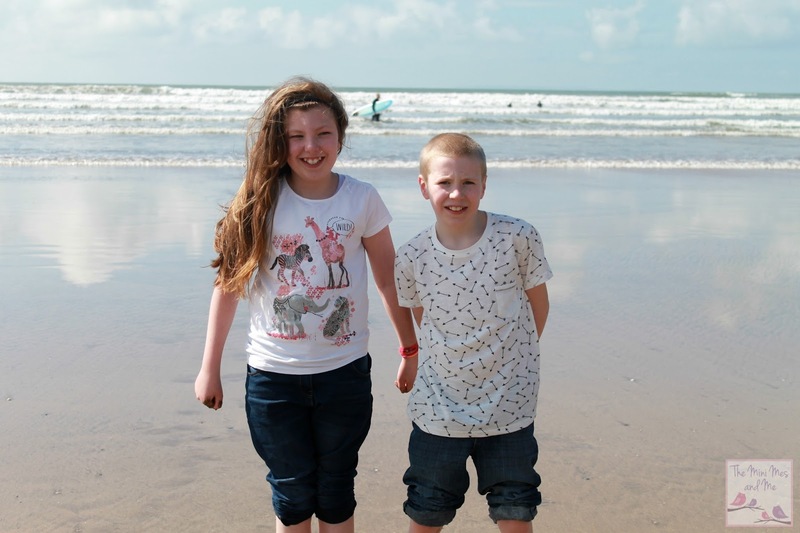 We love Woolacombe! Not been for years though. Looks a great day out. Love a day at the seaside & you all look like you had a brilliant time.